You'll be £15.99 closer to your next £10.00 credit when you purchase The Lusitania Sinking. What's this? 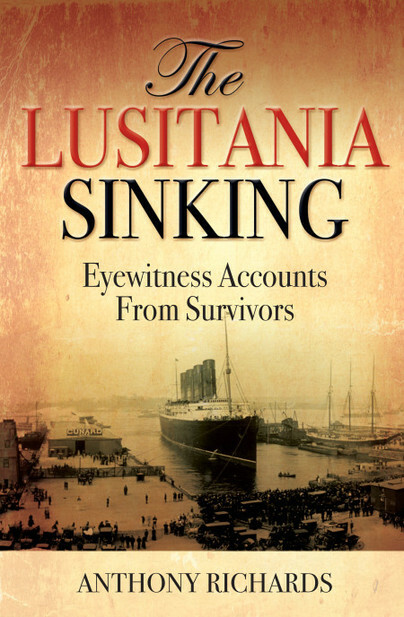 The Lusitania sinking is an event that has been predominantly discussed from a political or maritime perspective. For the first time, The Lusitania Sinking tells the story in the emotive framework of a family looking for information on their son’s death. On 1 May 1915, the 29-year-old student Preston Prichard embarked as a Second Class passenger on the Lusitania, bound from New York for Liverpool. By 2pm on the afternoon of 7 May, the liner was approaching the Irish coast when she was sighted by the German submarine U-20. A single torpedo caused a massive explosion in the Lusitania’s hold, and the ship sank rapidly. Within 20 minutes she disappeared and 1,198 men, women and children, including Preston, died. Uncertain of Preston’s fate, his family leaped into action. His brother Mostyn, who lived in Ramsgate, travelled to Queenstown to search morgues but could find nothing. Preston’s mother wrote hundreds of letters to survivors to find out more about what might have happened in his last moments. The Lusitania Sinking compiles the responses. Anthony Richards has worked at the Imperial War Museum for more twenty years where is responsible for the document and sound archives. A qualified archivist he has contributed to many publications and media projects based on personal written testimony of the two world wars, including articles for The Telegraph newspaper, the Royal Mail stamp yearbook, and the ITV series The Great War: The People’s Story (2014). He is also the author of The Somme: A Visual History and In Their Own Words; Untold Stories of the First World War (both IWM, 2016) and Documents That Changed History (IWM, 2018).